Derryn has a passion for sharing with others and has inspired thousands of people around the country with her presentations. Derryn will customize her presentation according to a group’s needs, to achieve the maximum impact and enjoyment. Derryn has extensive inspirational speaking experience ranging from small groups to audiences in excess of a thousand people. Whether it be, school speech days, networking breakfasts, or corporate management conferences. Derryn is comfortable with audiences ranging from young teens to corporate executives. Derryn shares both humorous and informative content about our country and ways in which we can impact the course of our future. Derryn shares the journey which lead her to compiling the book, what it takes to self-publish a best seller and why it’s important to find your destiny and live your passion. Derryn shares her past leadership experiences to both encourage and motivate other leaders to live a life of fulfillment, maximum impact and passion. “Derryn Campbell’s speech was one of practical optimism as well as encouragement to our girls. Her metaphor of the metamorphosis of caterpillars to butterflies engaged the girls, challenging them to embrace change as a stepping stone to success. They were touched by both her gentle approach as well as her strength” – Callie Madams, principal, Danville Park Girls High School (speech day for 1 000 people). “Derryn is an encouragement to all she meets and I am so thankful to that she could speak at our International BNI Networking week event” – Ansie Nieuwenhuis, BNI International Networking week in KwaZulu-Natal. “Mahatma Gandhi, a great leader and contributor to South African History once said, ‘Be the change that you want to see in the world’. Derryn Campbell lives, breathes, and acts on this mantra on a daily basis. 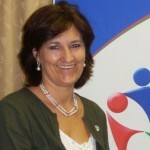 She is without doubt the most positive South African that I have come across. If everyone of us projects as positive an image of South Africa as she does, we will be formidable as a nation” – Shabnam Vadachia, SAA corporate breakfast. The coffee table gift book with a smile. 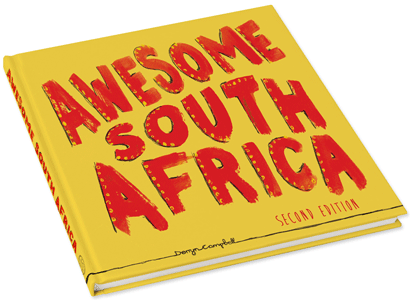 Awesome South Africa will intrigue you, make you laugh, astonish and astound you. Find out more here.